Well, hi there! It's been quite some time, hasn't it? I didn't realize quite how long it had been until I logged on today and -- wow -- over a month has gone by since my last checkin, and that was just a pattern release! So how's everyone doing?! This summer has been quite the busy one Chez Yarniad, with swimming lessons, play dates, baseball, and, oh, growing a person in my belly. :) I'm happy to say that my second trimester has been lovely, but I'm just getting to that point where the heat is starting to get to me and I'm feeling kinda large. But I will say this for being pregnant in summer: stretch jersey dresses. The high temps mean I can basically wear the equivalent of a nightgown all day every day, and it's completely acceptable. I don't know how I made it through my first pregnancy in winter -- the last time I tried wearing a pair of pants, I just gave up and took a nap. 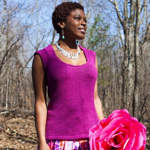 Anyway, this is a knitting blog, so let's talk about some knitting, shall we? I have some very exciting projects in the pipeline that I unfortunately can't share at this time, so today I'm going to talk about someone else's knits! 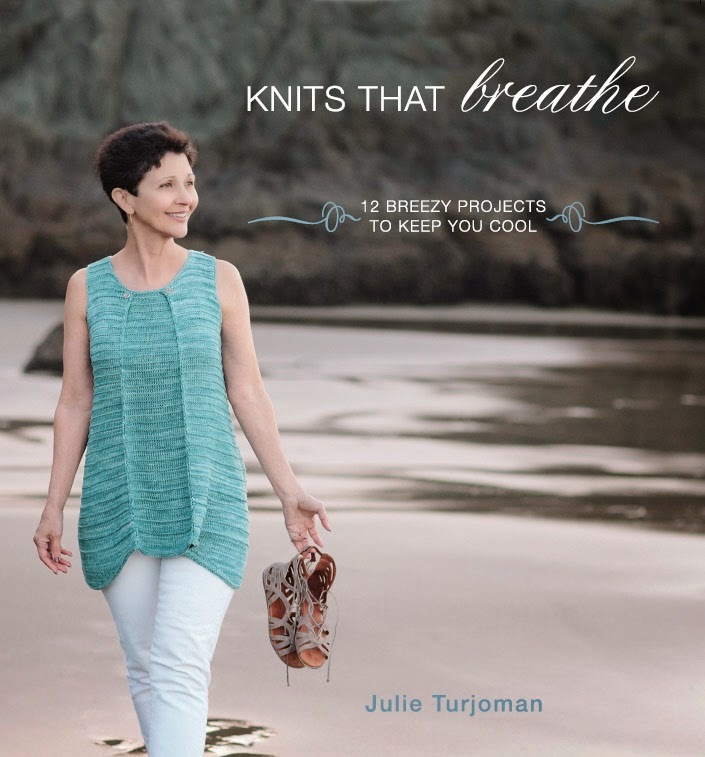 Back at TNNA in May, I had the pleasure of meeting up with Julie Turjoman, author of the awesome Brave New Knits, who gave me my first published-design opportunity and who I am now lucky to call a friend. 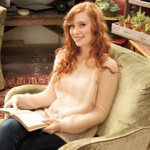 She recently came out with a stunning collection of knits that utilize light, non-wool fibers. The focus is pretty, easy-to-wear, flattering pieces that are looking awfully tempting to me as we climb towards 100 degrees here in Turlock. 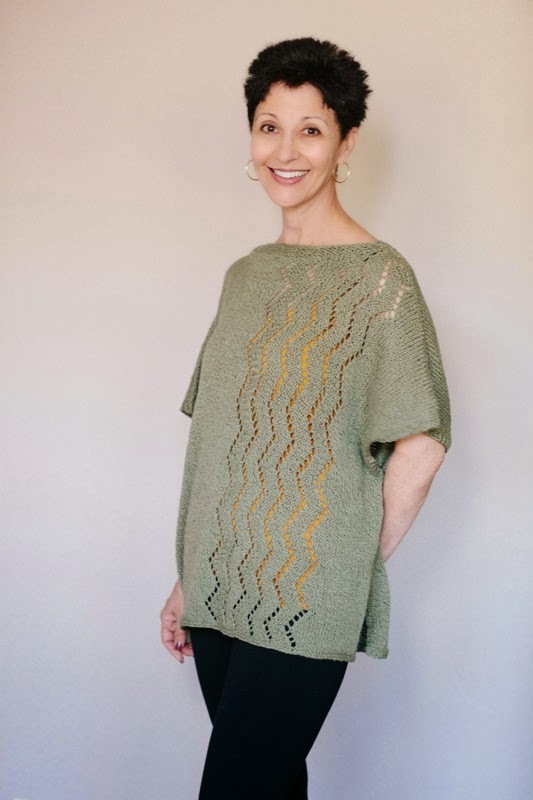 And while true that these are fantastic knits for summer, the right color choices and layering pieces would make these great the rest of the year as well. 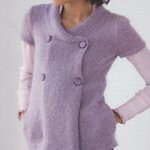 For whatever reason, not everyone needs wool underlayers, even in winter. 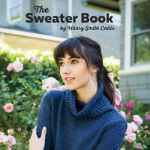 Knits that Breathe is a book of 12 light pieces, all done in fibers such as cotton, linen, bamboo, and silk. 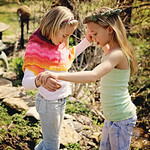 The collection includes tops and cardigans both, all styled and photographed beautifully. Want to take a look inside? 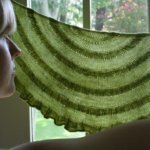 Here are a few of my favorites, with links to Ravelry design pages included. 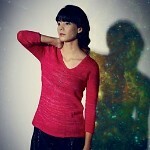 Flutterbye is a beauuuuutiful top with a handkerchief hem and fluttery short sleeves. Isn't this knit the definition of pretty?! Haven is ultra-chic -- I can see this with leggings or jeans, with a camisole underneath (as shown), or layered with a long-sleeved tee in cooler weather. Iced Frappuccino is another extremely lovely top. 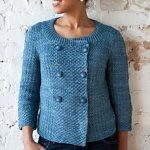 I love the decorative stitch patterns and am obsessed with that eyelet-y yoke. Splash is one of the cardigans of the book. An open-front cardigan is always a great idea. That's only four of them -- the additional 8 designs in the book are all just as pretty, easy, and flattering. 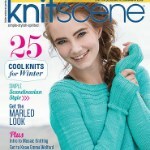 There is a group on Ravelry dedicated to Knits that Breathe if you'd like to chat with others knitting these projects. 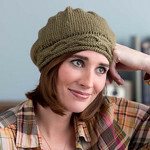 All patterns are on Ravelry here and purchase options (including the e-book, paperback version, and combo package) can be seen on Julie's website here. OR....if you'd like to WIN a (signed!!) copy of this stunning book, simply leave me a comment with your favorite design from the book and your contact info (email, RavID, Twitter handle, anything) and it could be yours. You have until 11:59pm Pacific time next Sunday (August 3rd) and I will draw a winner next Monday morning. Good luck! Oh my - Iced Frappuccino is my favorite!! My knitting needles are crossed for good luck!! Please pick me! Iced Frappuccino is my favourite too! It looks so comfy and breezy for a warm summer afternoon. Pochette is so beautiful! I'd like one in every color scheme, please. Splash is my favorite one! I like the sorbet cardi. A lot of these would be great for our TX weather. Iced Frappuccino is so pretty, and I think it might even be flattering on my body types so yay! The Sirena is lovely as they all are. It would be hard to choose a favorite. Oh, what fun! 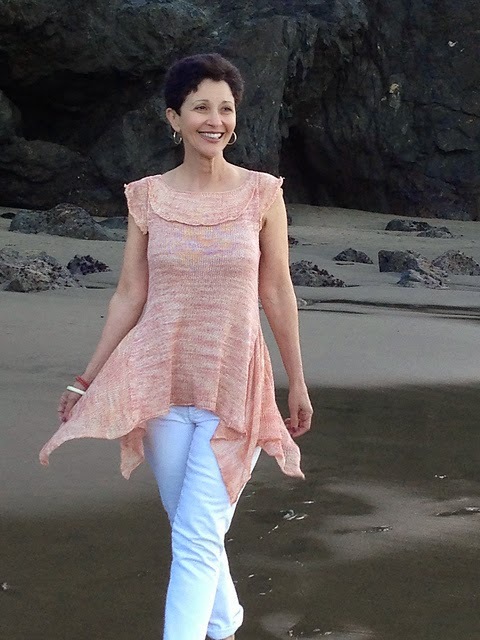 I love the breezy lace hem tunic. Fingers crossed! I love Iced Frappuccino. I would love to win a copy of this book! My favorite is Iced Frappuccino! I'm torn between Iced Frappuccino and Splash, both are gorgeous summery designs! Still Waters is my favorite. I'd think it would be so awesome to win. Thanks for the chance. 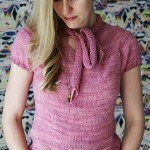 The Zephyr pullover is lovely, but all of the patterns are great...hard to choose. Awesome book. I would definitely love to knit Iced Frappucino. I have some linen yarn just begging for that pattern. Congrats on the body building you are doing! I really like flutterbye and the pacific coast tunic. Thanks for sharing about Julie's book. Still Waters hands down. BeanerShnump on rav. Glad to hear your pregnancy is progressing well! I love the Zephyr top. Love Flutterbye! And congrats to you! I think Stll Waters is a great piece. Simple but with enough lace to be interesting. I do best with cardigans, so Splash is my favorite. Love Julie's eye for detail and her imagination. And congratulations on your expected arrival! I don't usually do knit tees but I love Iced Frappucino. Thanks for the giveaway! I really like Sirena and Still Waters. Thanks for the giveaway! I can see myself knitting a few of the pattern in this book. My favorite is Iced Frappuccino. Thank you for the giveaway! Flutterbye is my favorite! Thanks for the giveaway. 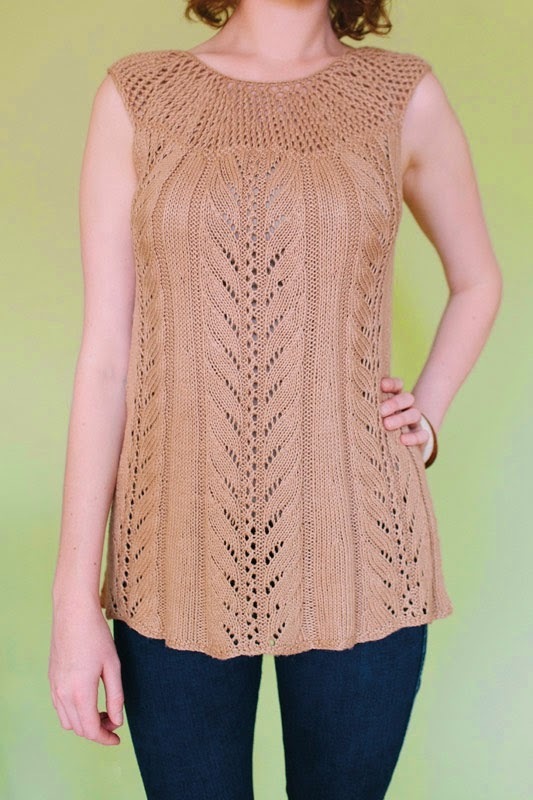 There are so many great patterns, but the first in my queue is Zephyr. I love Splash!! And this whole collection! I love Splash and Haven.All the patterns in this book are lovely . Totally in love with Iced Frappuccino! I love the light and flowing look of Flutterbye! Can't wait to see the rest of the patterns! Thank you! Still waters and Serena are both vying for my attention.Lovely designs.